From the moment they set foot in Boston, the redcoats were constantly at odds with the town’s inhabitants. By the beginning of March, 1770, tensions seemed to reach a boiling point. On the evening of March 5, Private Hugh White was under assault by a crowd of boys throwing snowballs, oysters in their shells, stones and clubs. Moments later, Captain Thomas Preston arrived on the scene along with grenadiers from the 29th Regiment. The soldiers formed a half circle around White, with Captain Preston standing in front of his men to keep the peace. According to witnesses, a club flew through the air striking one soldier in the head, which caused him to lose his balance, and discharge his musket. Thinking they had been given the order to fire, the other soldiers also discharged their weapons into the crowd, leaving five civilians on the ground, mortally wounded. The very next day, John Adams received a loud knock on his door. He was asked to defend the soldiers and Captain Preston, as nobody else would take the case. Without hesitation Adams agreed to defend the soldiers and their captain. Above all, John Adams believed in upholding the law, and defending the innocent. 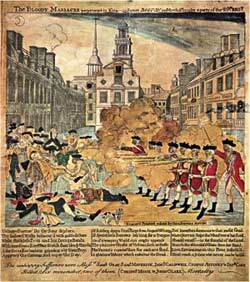 Adams was convinced that the soldiers were wrongly accused, and had fired into the crowd in self-defense. But in the months that followed, his second cousin, Samuel Adams did everything in his power to paint the redcoats as the troublemakers who started it all. Public vigils were held to remind the people of the brutal oppressors who killed their friends. 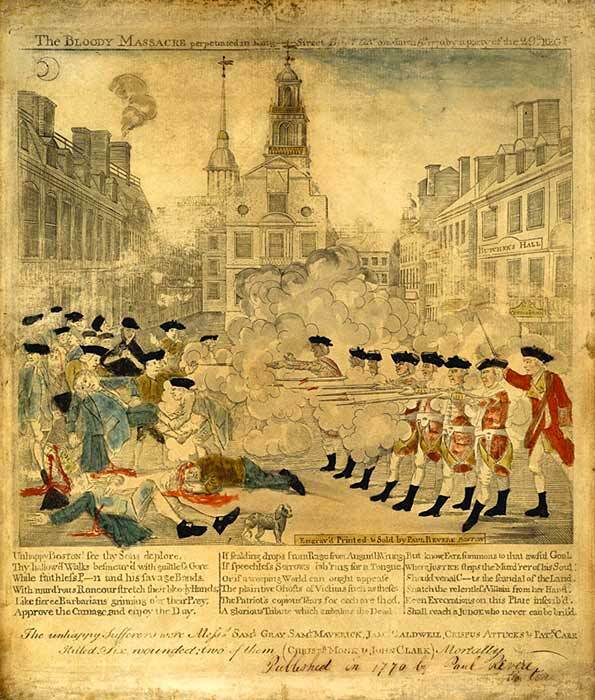 Paul Revere altered an engraving by Henry Pelham commemorating the bloody massacre on King Street to show the redcoats taking great pleasure in firing at the town’s people, and also depicting Captain Preston standing behind his men while giving them the order to fire. Portrait of Robert Treat Paine, Savage, Edward and Coles, John Jr., 1821. Massachusetts Historical Society. 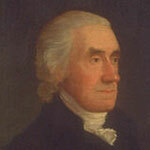 The trial commenced in October of 1770, starting with Captain Preston. 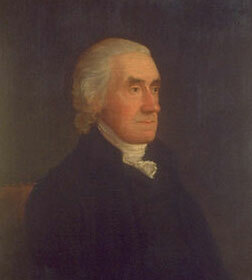 The prosecution, led by Robert Treat Paine and Samuel Quincy argued that the British regulars had been a hostile occupying force. They argued that Captain Preston and his grenadiers treated the town’s inhabitants with malice, and purposefully fired into the crowd to settle old scores from the brawls that preceded the incident on March 5. On the other hand, the defense represented by John Adams and Josiah Quincy Jr. argued that Captain Preston and his men had no intention of firing. Instead, they were the victims of mob violence, only firing their muskets under extreme duress. Thanks to the legal acumen of John Adams, Captain Preston was found not guilty. In defense, John reminded the jury that “Facts are stubborn things, and whatever may be our wishes, our inclinations, or the dictums of our passions, they cannot alter the state of facts and evidence.” John Adams reminded the jury of that fateful night in early March when the “motley rabble of saucy boys, Negroes and mulattoes, Irish teagues and outlandish jacktars” pelted the redcoats with rocks all while daring them to fire. “Kill them! Kill them!” shouted the crowd. Meanwhile, church bells pealed throughout the town indicating that a fire had spread to several buildings. People from all corners of the town yelled “Fire! Fire!” How was a soldier to respond? “Do you expect he should behave like a stoic philosopher, lost in apathy?” Adams asked.